Once internet users connect to public internet services by using EarthVPN their device or computer is assigned with a new IP address owned by the company and all users traffic are tunneled through EarthVPN and encrypted. EarthVPN is a leading VPN provider and subsidiary of top internet service providers based in Northern Cyprus. As a complete service provider, EarthVPN offers an inclusive range of web, data, voice and internet hosting products to both business and home users. The service provider operates its own fibre network in five different Northern Cyprus cities, offering a range of MPLS VPN and broadband DSL direct connect services as well as Hotspot and Wi-Fi internet access direct to its residential users. Due to its business expansion plan, EarthVPN decided to provide global VPN services offering PPTP protocol, OpenVPN, L2TP and SSTP services. EarthVPN users can connect from anywhere in the world to access servers located in 54 different countries as well as 190 physical location servers, strategically placed across six continents to facilitate user’s requirements via the fastest speed, minimum latency, and continuous connectivity. While most users are attracted by the unbeatable prices, Earth supports all the major VPN protocols including SSH/Proxy, Open VPN, SSTP, L2TP, and PPTP, which offers top security via advanced authentication and encryption protocols to protect their customer’s data from unauthorized access. No logs are kept recording user activity nor VPN usage and third parties are technically unable to match IP addresses to account holders. While Torrent and P2P are supported, users also enjoy unlimited transfer speed of up to 1Gbps from all server location. Due to technological advances and internet convenience, we all are part of a modern era, which makes internet use unavoidable, while the biggest concern is online safety. EarthVPN use empowers users to protect their identity from identity cyber-thieves and by connecting via the VPN all data are encrypted and secured, ensuring all personal details are inaccessible. The VPN makes sure that user online presence cannot be recorded, monitored or intercepted by companies, government or service providers, while multiple operating systems are supported including Linux, Mac OS, and Windows. VPN protection can also be enjoyed on Android cellphones, iPads and iPhones while PDAs, as well as tomato and dd-wrt routers, are fully supported. EarthVPN works anywhere in the world and with nearly all service providers allowing members to enjoy the UK and US TV stations previously blocked to viewers outside the US or UK while support is available 24/7 and its 100% customer satisfaction guarantee allows users to cancel the service within seven days. Base plan doesn't include all features. Originally private organizations used “Virtual Private Networks” or VPNs to link geographically diverse locations over the internet. EarthVPN tunnels traffic between different devices and protects information transmitting over the internet by empowering users with the option to encrypt data received and sent. VPNs services are used for many different reasons including privacy, anonymity, security, bypassing geographical restrictions and bypassing censorship. Once internet users connect to public internet services by using EarthVPN their device or computer is assigned with a new IP address owned by the company and all users traffic are tunneled through EarthVPN and encrypted. Internet service providers cannot see encrypted data streaming, which unable ISPs to monitor, control or log internet usage. Protocols supported include point-to-point tunneling protocols or PPTP, an invention by Microsoft created to use VPN services for dial-up networks and is seen as a standard protocol for international security, Earth offers PPTP encryption of 128bit cipher, MPPE, with MS-Chapv2 authentication. Its implements of L2TP or layer 2 tunneling protocol is encrypted by standardized IPsec with AES 256-bit encryption algorithm. EarthVPN’s SSTP or secure socket tunneling protocol is perfect for users who are unable to connect via L2TP or PPTP protocol and provides browsing of HTTP websites. It’s OpenVPN uses OpenSSL and SSLv3/TLSv1 protocols to ensure a reliable VPN solution while its SSH socks or tunnel proxy is available in over 54 countries should VPN protocols no the suitable for all users. No logs are kept of user activity and IP addresses cannot be connected to specific account allowing internet users to browse privately. What differentiates EarthVPN from other VPN services is its unbeatable monthly cost, no user logs are kept and all users have access to unlimited egress and ingress bandwidth, while transfer speeds of up to 1Gpbs are part of the package. Services is optimized for Torrent and P2P use and browsers anonymity are guaranteed. Multiple operating systems are supported and by selecting Earth as their VPN, users can enjoy BBC, Hulu or Netflix from anywhere in the world. EarthVPN offers some of the most affordable and competitive prices, while users can select either the $3,99 monthly or the annual package of $39,99. The package works on dd-wrt routers and is compatible with Android, Apple, and Windows. The highly affordable monthly cost provides users with access to servers located in 190 locations across 54 countries and SSTP, L2TP, PPTP and OpenVPN protocols is included while no logs are kept. Up to three connects from the same place is possible and the VPN is Torrents and P2P enabled. By ordering the VPN service, users are ensured that all browsing is anonymous while access is not restricted and UK and US television stations can be viewed. EarthVPN also offers access to Skype, YouTube, Twitter and Facebook and supports Tomato Firmware routers, while it perfectly works on Apple TVs, PS3s, and Xbox. Via DD-WRT internet users can watch Chromecast anywhere and all connections are encrypted by 2048bit RSA and 128bit AES encryption. Activation is instantly and services can be canceled within 7 days for a full money back refund while EarthVPN guarantees a 99.99% service uptime. For Windows, the EarthVPN is easy to install and allows users to select which protocol and server they would like to connect to as well as which port to use. By default, it connects over TCP and once connected the EarthVPN icon in the notification area let users know installation was successful. Set up is easy via the detailed manual provided including screenshots for Socks, SSH, OpenVPN, PPTP, and L2TP proxy or Linux SSH/Socks or PPTP proxy, OSX OpenVPN, L2TP, PPTP and SHH/Socks proxy. iOS instructions are provided for OpenVPN, L2TP, and PPTP while Android OpenVPN, L2TP and PPTP is supported as well. Currently, Dd-wrt router manuals are available for OpenVPN and PPTP VPN onsite. EarthVPN provides users to enjoy unlimited outbound and inbound bandwidth across all servers around the globe and no arbitrary or artificial quotas limit bandwidth while users can use the VPN simultaneously on up to three devices at the same location. Users are guaranteed of the best speed and enjoy unlimited network transfers with up to 1Gbps speed on VPN server located to offer the best possible bandwidth speeds. 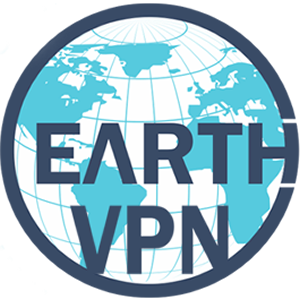 EarthVPN offers members access to servers placed in six continents across fifty-four countries and 190 physical locations. Server locations include United States Atlanta x2, Germany Frankfurt, United States Kansas, Netherlands Amsterdam x4,France Paris, United States Chicago x2, United Kingdom Maidenhead, United States Las Vegas x2, Romania Bucharest, The United States Dallas x2, France Roubaix, United States Miami, United States Denver x2, United States Houston, Luxembourg Bissen x2, United States Phoenix, Germany Dusseldorf, United States Los Angeles x5 all Asian and China Optimized, India Chennai, United States Washington DC x2, Hong Kong Wanchai China Optimized, Canada Montreal x2, United States New Jersey x2, Germany Nuremberg, Sweden Stockholm, United States New York x3, United States Salt Lake City, The United States San Jose x2, United States Seattle x2, Canada Toronto x2, Panama x2, Netherlands Rotterdam, United Kingdom Hampshire, Singapore Jurong, United Kingdom London x2, United Kingdom Manchester, Ireland Cork, Italy Milan, Austria Vienna, Switzerland Zurich, Spain Madrid, Turkey Istanbul, Estonia Tallinn, Norway Bergen, Belgium Diegem, Bulgaria Sofia, Poland Warsaw, Russia Moscow, Ukraine Kharkiv, Japan Osaka, Hong Kong Kwai Chung, Hong Kong San Po Kong, Singapore Asian Optimized, Australia Sydney, New Zealand Auckland, Brazil Sao Paulo, South Africa Cape Town, and China Beijing. There are plenty of reasons why EarthVPN is a great option for internet users, which includes that users can connect from anywhere to multiple servers and basically all devices are supported allowing simultaneous VPN use on three devices. A wide range of protocols is supported and servers are optimized for Torrent and P2p traffic. While no logs are kept EarthVPN offers unlimited outbound and inbound bandwidth and transfer speed is an impressive 1Gbps while all browsing and data transfers are encrypted, guaranteeing users that sensitive information such as credit cards, usernames, and passwords are completely secure. Servers are available from anywhere in the world and restrictions can be bypassed empowering users to enjoy access to Facebook, Twitter as well as UK and USA television programs. Customer support is offered 24 hours a day all seven days of the week and at an unbeatable price, Earth VPN offers internet users secure web browsing that is reliable, fast, secure and extremely affordable.